About Shorea timber:Shorea is a hardwood grown in Malaysia. Its properties are similar to teak, but it is much stronger and heavier. The strength and durability of this magnificent wood makes it the wood of choice for light construction and veneers. Shorea also has a natural resistance to decay and insects.The natural density of Shorea means that even if your furniture is left outside during wet weather it is resistant to rot. The timber will smoothen as the furniture weathers to a silver grey colour, very similar to that of the teak. 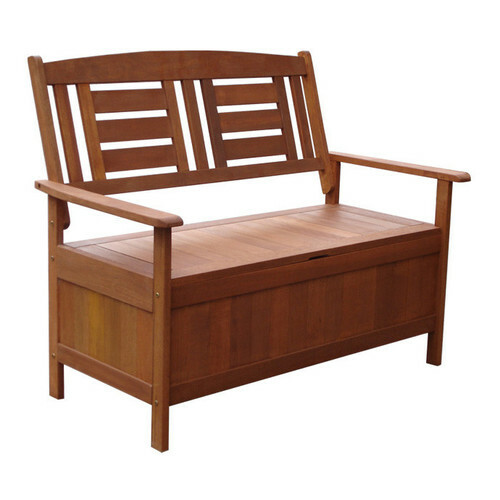 If you are going to leave your furniture outdoors permanently, it is required you treat it with an application of teak oil to protect it from weathering. The timber will weather and split if oiling maintenance has not been upkept. When you buy a Barossa Storage Box online from Temple & Webster in Australia, we make it as easy as possible for you to find out when your product will be delivered to your home in Melbourne, Sydney or any major city. You can check on a delivery estimate for the Breeze Outdoor Part #: 88891 here. 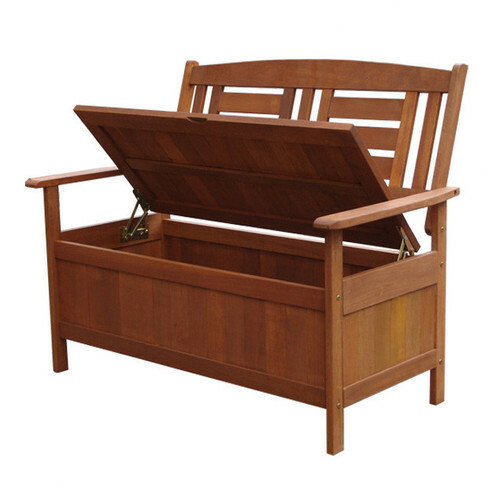 If you have any questions about your purchase or any other Outdoor Benches product for sale our customer service representatives are available to help.Whether you just want to buy a Barossa Storage Box or shop for your entire home, Temple & Webster has a zillion things home.